How many baby monitors are needed for twins? How to choose the best baby monitor? Whether you have twins coming your way or already have the double trouble around you must have searched for the best baby monitor for twins. Even if you are simply looking for an ideal gift for someone who has popped out two, a twin baby monitor is the best way to keep trouble at bay. Setting up a nursery for your kids is overwhelming in terms of chores as well as emotions. While a lot of thought goes behind setting it up, safety and parent availability are prime concerns. Many new parents are bowled over by the thought of ensuring that they are able to monitor their little wonder. When it comes to twins, the effort and responsibility are double. One is confused with numerous questions such as, “is one baby monitor enough for twins?”, “Should I use different monitors for both the babies?” etc. We decided to do some research on the best baby monitors available and the perfect baby monitors for twins. Here is how you can choose the best baby monitor for twins so you can run around doing your chores in peace and the baby stays safe too. 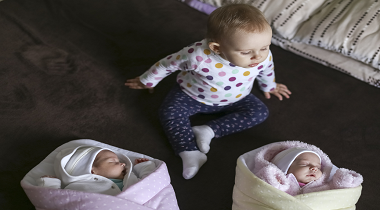 In this article, we answer all the questions you may have and also analyze the best twin baby monitors available in the market to make the choice easier for you. If you are looking for the best baby monitor with wifi, here is a good option for you that is indispensable if you plan to keep the twins in the same room. It comes with the capability to see a panoramic view of the entire nursery so none of the activities is hidden from you. Afterall, soon the babies will start exploring the limits. The view can also be moved and accessed horizontally or vertically based on your requirement and room plan. Also known as the robot baby monitor, it is pretty sophisticated in terms of features and is a hi-tech baby monitor that offers awesome monitoring capability for the twins. It employs multiple lenses for you to use or keep switching. It features the awesome capability to check an angle and even zoom in where you like. Well, we haven’t come across any camera with such advanced features in our research. You can also, separately invest in a wide-angle lens but it is indeed worth the investment. The monitor offers a coloured display on a large screen. The unit is sleek and portable, so you do not have to leave it if you go anywhere. It comes with a battery life promise of 10 hours that is actually pretty cool for a monitor. However, you must expect 6-8 hours if you plan to constantly look at the screen. This monitor can be virtually plugged in anywhere based on your need and availability. It also gives a beep to warn you if the battery is going low, now that is keeping one really safe. If one is to judge the price based on the features we feel it is pretty reasonable with the kind of safety and flexibility it offers. It is indeed a durable and high-quality baby monitor. The DXR-8 also features on the list of top night-vision baby monitors and offers a clear display amidst invisibility of dark. Other superior features include the check on the temperature around the baby and the ability to communicate with the babies as they grow older. Yes, it is an audio baby monitor. The DXR-8 Video Monitor by Infant Optics features interchangeable lens technology. The video is streamed real-time to a slim 3.5 inch LCD colour display providing a crystal clear image. The long-lasting battery provides reliable charge: 12 hours in power-saving mode, 8 hours with the display screen constantly on. Plug and play – no setup required. Unlike internet cameras, secure 2.4GHz FHSS wireless transmission provides 100% digital privacy with delay-free video and audio playback. Based on our research as well as common user reviews there aren’t any major issues noticed in the unit. This is most recommended baby monitor and best nursery monitor. Just that after 2 years or so, the battery is reported to hold less longer than it does in the beginning. Well, that is with all batteries and the customer service is prompt enough to resolve all issues. A perfect choice of wifi baby monitor for twins. This is the perfect way to save money if you decide to separate rooms at a later point in time. Why buy a new unit when you can do with just an add-on? And, better still, you can add up to 4 add-ons. You can easily switch the display on your large viewing screen in order to monitor both babies seamlessly. Do not be sceptical about the image quality of the additional camera because it comes with an amazing lens similar to the main camera and ensures superior quality video. Here is a breakthrough from Motorola when it comes to audio baby monitors. 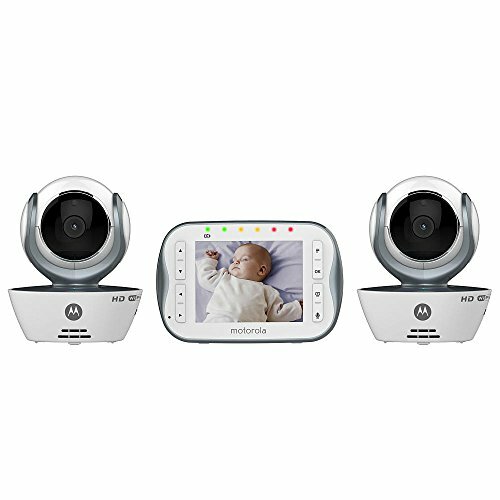 Motorola wifi video baby monitor is most reliable baby monitor. It looks to be a pretty promising product with a 5-inch color screen and digital audio-video capability. It comes with a digital zoom capability that lets you see any portion of the room anytime by zooming in. This is especially a boon when the babies become more mobile and explore beyond their cribs. With a 2.4 GHz FHSS transmission it contests to be one of the top-rated wi-fi baby monitors. It facilitates 2-way communication, that means you can hear what the babies do and talk to them from any part of the house as well. You will know they are safe and they will be assured that you are around. One of the best features of this child monitor is it includes is inbuilt lullabies that keep the baby soothed and entertained. You get some rest too. The 5 baby-friendly lullabies are calming as well as help the babies sleep on their own. You can stay assured in the night with infrared night vision that offers superior picture quality even when it is pitch dark. The babies will never cry unattended, be it whatever time of the day with this amazing night vision baby monitor. With up to 1000 ft range, you can step out a bit to run the errands as the babies sleep or monitor them from anywhere in the house. 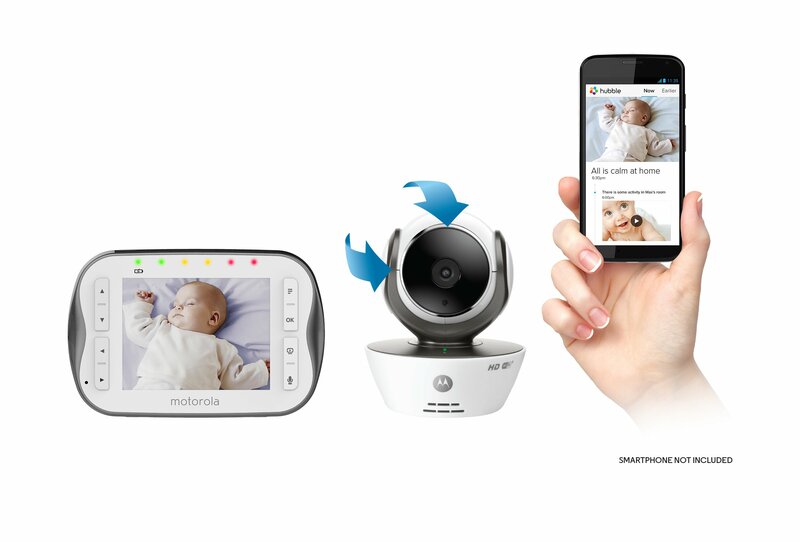 Motorola wifi video baby monitor is multi room baby monitor. It comes in 2 variants, a 1-camera variant and a 2-camera variant. It is better to invest in the 2- camera model if you plan to keep the twins in a separate room. With divided responsibilities, it will not only be easier to monitor the munchkins but also to have you much-deserved rest. The single-camera works just as well if you have one baby or plan to keep both in the same nursery. In our opinion, the Motorola baby monitor camera is not only loaded with features but also comes with a reasonable price tag for a baby monitor with video and sound. Yes this is the best budget video baby monitor. Barring a few minor flaws such as minute grains in the video and a little less than very clear imaging in the dark, this is one of the best audio baby monitors. It does not cause a dent in the pocket and serves the purpose of monitoring twins really well. The camera doesn’t move, so if you plan the nursery otherwise, you will have to invest in the 2-camera version. If manufacturer promises are to be believed, every baby monitor is superior and high quality but your baby is a piece of your heart and you cannot take any risk with their safety. It is thus important to invest in everything superior. And the baby monitor must be absolutely perfect for your space and need. 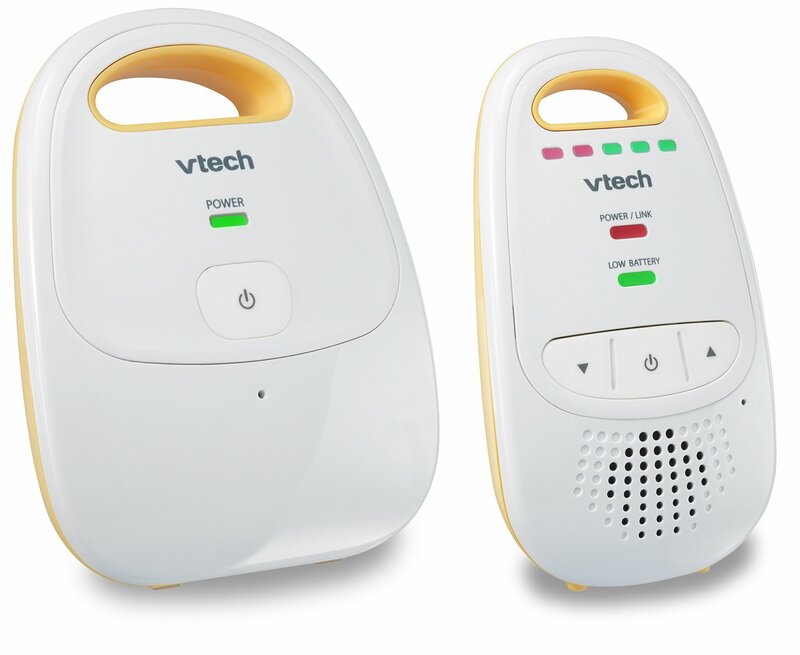 The VTech Audio baby monitor is just an awesome product to suit your need of monitoring your little delight. It is one of the best on the list of Audio Baby Monitors that enables you to hear your baby’s every sound. You can stay in any room and stay in touch with every activity of your kids. The transmission is completely digital and hence eliminates static and interference from other wireless devices. There will not be any disturbance between you and the baby’s voice. In the box, you will find a parent unit and a baby unit to ensure uninterrupted connection. It offers secure transmission using the DECT 6.0 digital technology. Don’t be confused by the terminology, it is the technology that eliminates interference by cutting out background noise. This is also responsible for transmission via a secure and encrypted signal so you do not have to worry about privacy. 5 LED lights on the parent unit let you know the sound levels in the nursery so you can monitor the noise even when your receiver is muted. It comes with volume control feature that offers complete control over the volume to hear your baby perfectly. While a belt clip may not sound like a huge value add to you, trust us, it is extremely useful. It enables you to move freely inside and around the home without having to reserve one hand for the monitor. Now you can also use the washroom without worrying to make the device wet. The baby unit and the parent unit come with individual power cords to ensure round the clock availability and the box also includes a user manual so you are ready to go as soon as you unpack it. It is quite a dependable baby monitor that does what it is supposed to. However, it has a few flaws that you can ignore. If you are not looking for something over the top and just perfect, this one doesn’t set you back by a very amount. On the other hand, it has some unique features such as direct power charging that is good to have. The first thing that goes for a toss when you have a baby is your peace of mind. You are continually worried about their safety and your house is a wreck. 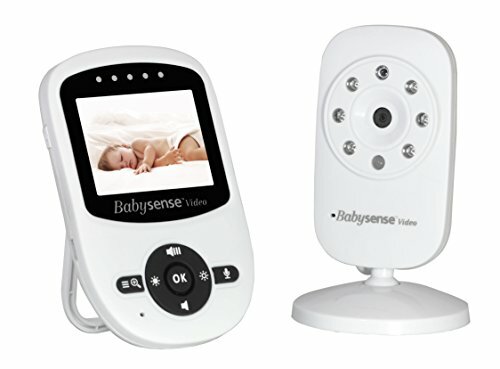 Baby sense has come up with a child monitor camera that will not only ensure your baby’s safety but give you peace of mind too. It is a high-quality baby monitor that employs superior quality baby monitoring technology for an awesome user experience and utmost peace. It makes it easy to maintain a connection with the baby that is private and secure and facilitates 2-way communication so the little one babbles to you and you talk right back. The crystal clear sound makes sure that there are no misinterpretations or lags and the baby stays assured that you are around. The 2.4 inch LCD is a high-quality display that allows awesome image quality be it day or night, so you are assured of the baby’s safety at any time of the day. It is greatly complemented by the infrared that facilitates clear display in dim light. It is one of the best options among the other infrared night-vision baby monitors. It employs 2.4 GHz FHSS technology to enable HD and stable streaming across a secure connection free of any interference. The digital video and audio are impeccably clear. This HD baby monitor does as it promises. It comes with an adequately long range of up to 900 feet that also issues a warning if you go out the range. It is no way that you can step away inaccessible by the babies with this Bluetooth baby monitor. Digital zooming capability with 2*zoom and the option to pan or tilt the digital image. Can be expanded to up to 4 cameras- whether you have twins or triplets or even 4 munchkins, the baby monitor has them covered and secure. The main unit comes with a support stand. 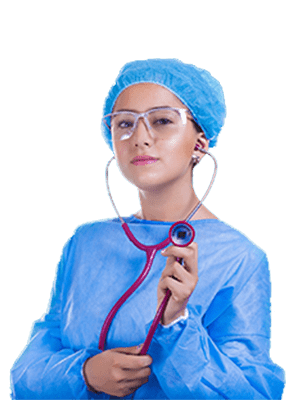 One of the best things to keep you assured is that the manufacturer is ISO certified for medical devices and has been in the business for many years. This child monitor camera has some minor flaws that are not deal breakers but some improvements would be good. It does what it promises at quite a reasonable price as compared to the other competitors in the market. It is worth an investment for twin babies especially because it can be expanded up to 4 cameras. Do not expect any over the top features but it does what is expected without the frills. As soon as the little wonder comes to earth, parents instinctively start worrying more. A baby is a part if your heart that you do not want to hurt at any cost. Besides that, it is important to sleep better to ensure you are well to take care of the babies. Here is one of the best baby monitors that do beyond just monitoring the baby activity. It makes sure that the babies are fine and goes a long way in controlling SIDS that is a major risk for infants. The risk of SIDS keeps troubling us, especially with all the news we read every day. This child monitor camera with a baby monitor app makes sure to let you know that the baby is okay. It comes with a baby monitor breathing sensor that monitors the oxygen levels as the babies are asleep. It also tracks the baby heart rate. In both the cases, it notifies if something goes wrong or even looks wrong. This is done using oximetry that is clinically proven and doctor approved. It is a wearable child monitor that comes in 3 sock sizes to fit babies 0-18 months. This is done by connecting to a smart station that stays in a green tone if everything seems ok. Otherwise, it issues notifications on the app as well as light and sound indicators if the heart rate or oxygen levels appear higher or lower than normal. This allows parents to sleep better and carefree without the worry of heart rates and oxygen going beyond the preset limits. The socks connect to the base station using Bluetooth and the base station can be kept up to 100ft away. The socks are washable and wrap comfortably around the baby’s foot. The baby monitor app shows the real-time heart rate and oxygen levels on as many phones at the same time. The Owlet’s app is cloud-connected and is free on both IOS and Android stores. The best thing about the offer is the option to return it if you don’t like it within 45 days to avail a full refund. 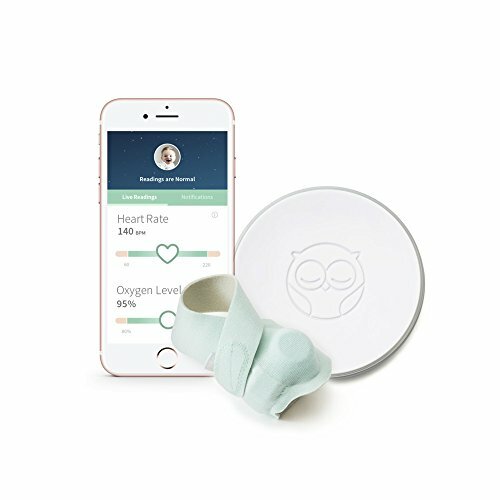 This Bluetooth baby monitor works perfectly as a gift to new parents for baby showers or birth announcements. Twin parents can make use of two owlets and sign them in on different phones. This allows for individual monitoring as well as responsibility sharing among the caregivers. The price is on the higher end but it is worth considering the opinions of user parents before shelling out an exorbitant amount. 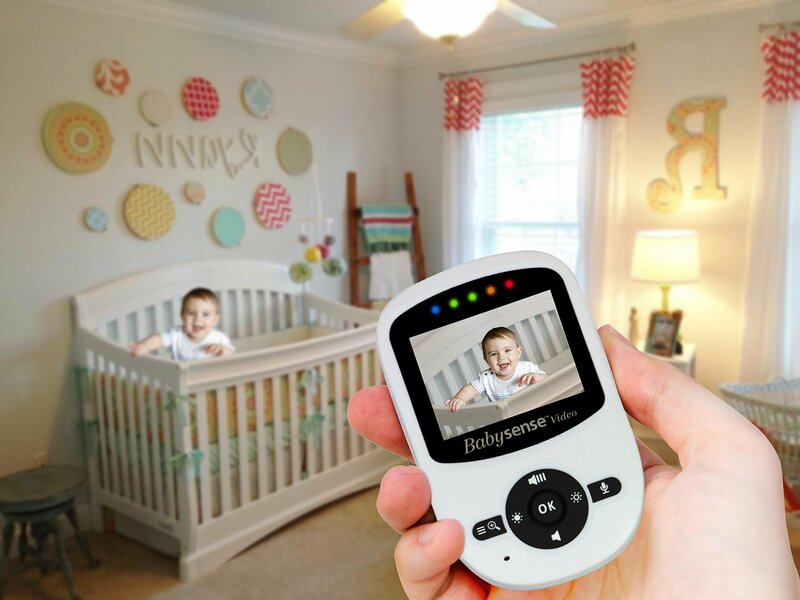 While some parents are wary of connecting the baby to a Bluetooth range, most are pretty satisfied with how this child monitor camera works. 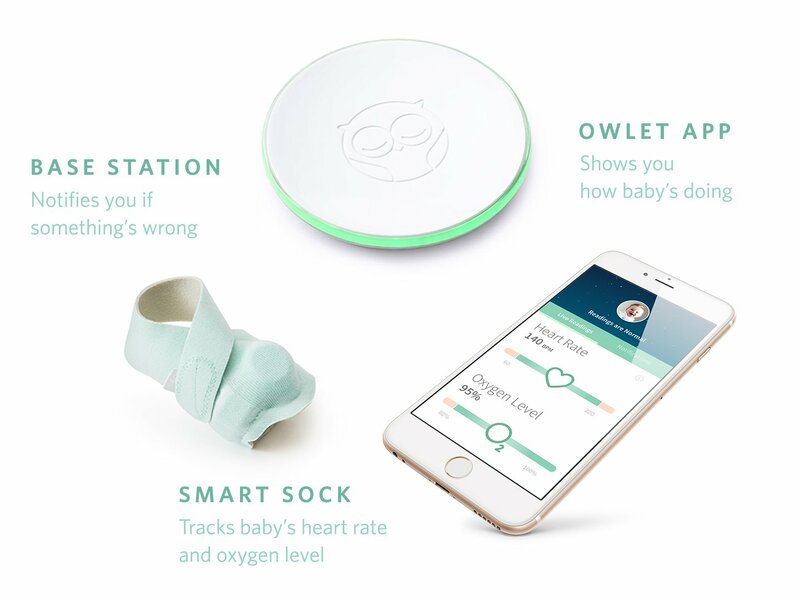 While the owlet smart sock baby monitor is an amazing concept, users are mixed in their reviews about it especially because the price is quite high. The app is reported to have quite some issues and the alarm levels set have cause some unrest among some parents. Some parents have been thoroughly satisfied as well. In our opinion invest in it if you cannot visit the baby room to often to check on them and want the remote capability to alert you. However, do visit them at some intervals. It is a value buy if you need some peace of mind and does not rely completely on the app. 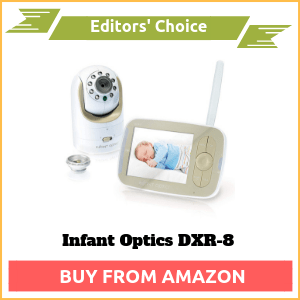 OUR PICK: We would vote for the Infant Optics DXR-8 with interchangeable optical lens for your twins if you like your baby monitor camera to be nothing but perfect. However, if you are on a budget and would be able to do without the HD quality and the frills, VTech DM111 A-*audio Baby Monitor is an ideal pick that will do the job just fine. While the shelves are full of good baby monitors, not all of them may be suitable for your need. Choosing a video camera monitor is a critical task because your baby’s safety and your availability to their needs depend upon it. Out of multiple choices of camera for baby room, you can choose the ideal one only when you decide your nursery setup- if you plan to keep the twins in a single nursery, one baby monitor with all-around viewing capability is just perfect however you will need an additional camera for baby room if you plan to keep them in individual nurseries. Many parents opt for keeping the twins in separate rooms in order for them to have independent sleep patterns. It is ideal to use separate child monitors in such instances in order to ward off any safety issues. Opting for add-on or individual monitors will also allow parents to divide the responsibility among themselves. A child monitor can be a pretty expensive affair especially if you need to buy two. While you will get numerous options starting from the cheapest baby monitors to the most exorbitant ones you need to remember to choose not just based on price. Remember that the best cheap baby monitor can serve your purpose just right and the most expensive one can fail or the other way around. So, while the price is an important indicator you certainly get what you pay for. Also, every individual need is different and not one formula suits all. You need to check if the durability and performance offered by the product in consideration are at par with the price. After all, we all want value for money. With a responsibility of two little mischief makers you will seldom remember to do your personal chores, leave aside remembering to charge the monitor. It is ideal to look for a product that holds the charge long enough. Night vision baby monitors are a dire need if your babies stay in a separate room. The capability to see the babies overnight will help you cater to their needs and soothe them round the clock. This may not strike you in the first instance but believe us, you are going to drop your baby monitor more then you think you will. And it is needless to mention that some days it may be a toy for the siblings too. The last thing you want your child monitor to be is flimsy and delicate. Fabulous functionality and fall survival are the best attributes of a good baby monitor. In this section, we’re going to answer some of the most frequently asked questions that parents have, surrounding baby monitor. Q:Who invented the baby monitor? ANSWER: Isamu Noguchi, the Japanese sculptor and designer first came up with his concept called the radio nurse that was the first baby monitor. Q:When was the first baby monitor invented? ANSWER: The first baby monitor was invented back in 1937. Q:What is the purpose of a baby monitor? ANSWER: A baby monitor is quite a useful device that lets you run about your household chores without worrying about your babies sleeping in their room. It always keeps you connected to them by showing video of the happenings in the room and alerting you even if there is the minutest of sound. It considerably minimizes the risk of SIDS by keeping you available as and when the baby needs you. Some monitors also come with features such as temperature check, heartbeat and breathing monitor etc. These features allow you to let the baby sleep independently as you rest assured about their safety. Q:What are the best baby monitors? ANSWER: The best baby monitors offer audio and video capability for you to stay in touch with the baby and also to assure the baby that you are around. There are numerous variants in the market such as audio video baby monitors, cordless baby monitors, HD baby monitors etc. The best baby monitor, however, would depend on your individual needs and nursery setup. Q:How does the Baby monitor work? ANSWER: A typical baby monitor usually has 2 units viz. the parent unit and the baby unit. The baby unit is the child monitor camera that can be set up in a way that you see the maximum part of the nursery. The parent unit is the monitor for the reception. It streams the happenings from the nursery by connecting to the baby unit using Bluetooth or wi-fi. There may be additional features based on brands and models such as alarm functions, LED alerts etc. Q:What is a good brand for baby monitors? ANSWER: There are numerous brands of baby monitors available in the market. A good brand to suit you will depend on your individual need. Q:Can a baby monitor track movement from babies? ANSWER: A baby monitor is essentially a camera and a microphone that alert you using audio and video if the baby moves around. Q:What do baby monitors have to do with Electromagnetic waves? ANSWER: Most baby monitors work using Bluetooth, wifi or internet, so electromagnetic waves are associated with their functioning. Q:Can baby monitor affect wifi? ANSWER: Yes, some baby monitors are known to interfere with the wi-fi signals, however, some do not pose this issue. Q:What baby monitor has the longest range? ANSWER: There are multiple baby monitors with varied ranges, out of those the Philips DECT monitor is known to have the longest-range of 1000 ft. We tried to discuss about the monitor which has long range features. You can check that article to get a clear view of it. Q:Are baby monitor apps safe? ANSWER: Most of the major baby monitor apps today come with a privacy promise. You need to check out their specifications to know whether the transmission is through a secure channel or not. Most major brands make sure that this isn’t a flaw but better research well before investing. After all, the baby’s safety is of prime concern. 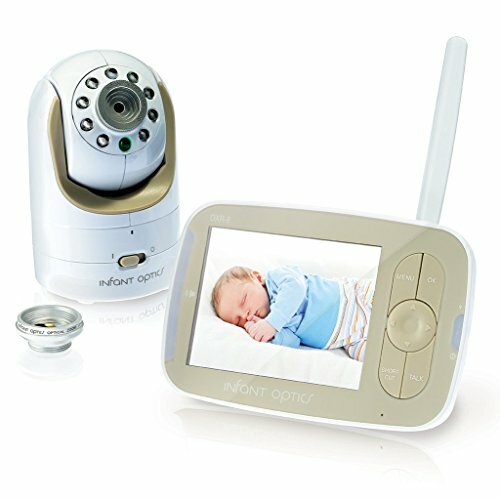 A baby monitor camera is a buying decision that you need to make quite carefully. The analysis of various products above is done based on our research that we conducted by testing the individual camera under possible conditions and also on user reviews to know of other setup-based possibilities. Do not simply base your buying decision on the cost of the product but also consider other factors such as dynamics of your baby’s nursery and other resources such as the number of caregivers etc. An informed decision will go a long way in ensuring your baby’s safety and your peace of mind.